The publishing industry has been changing a lot in the last few years. It’s not a bad thing. It’s actually good for anyone who has always wanted to self-publish a book. 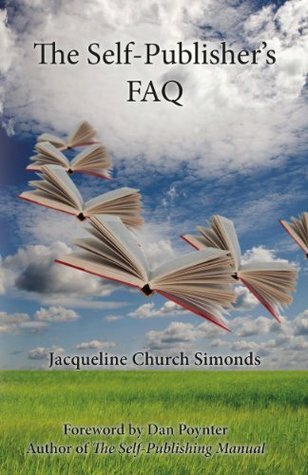 Author Jacqueline Church Simonds has put together a perfect guide for anyone who has questions and is unsure of how to proceed. Simond’s guide has chapters that cover questions you may have about publishing, publishers, assembling your manuscript, social media, how to get reviews and more. For a chance to win this copy please leave a comment, name and email. Offer expires 7/19/14. One question that many writers have is, “Should I print hard copies of my book…or should I just do an ebook?” Simonds provides excellent information for this question in Chapter 7 titled “Printing a Paper Book.” According to Simonds, “The old model also supported first producing a hardback book, then six months to a year later a paperback version. Big publishers still follow this model. Self-publishers do not. For many self-publishers, the best move is to print via the POD method and offer ebooks. In this manner, you can keep your upfront costs low and concentrate your available cash on marketing your book.” Simonds also covers, in Chapter 7, the process regarding book size, print type, binding and cost. She answers more detailed questions about ebooks in Chapter 8. If you are a writer who wants to know, “Do I have to have a Press Kit?” Simonds states, “No. If you’d rather save on paper and shipping, you might consider creating a one-sheet with an image of the book, short summary, endorsements, reviews, short author bio, picture, and all the book data.” Simonds helps anyone who wants to self-publish a book or perhaps has specific questions, get the answers. Each chapter covers topics you will need to know. 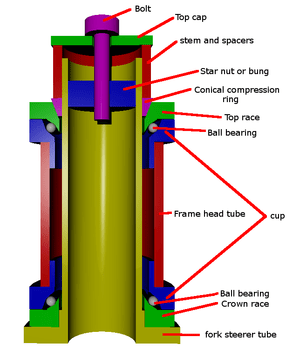 Step-by-step information will walk you through each process. The back of the book has a countdown of where you should be in a particular time-frame. For example: She gives you 9 months to finish writing your book and researching the market. By month 12 you should start setting up your publishing company and so on. Jacqueline Church Simonds has been a publisher for thirteen years, producing over twenty books, has worked over thirty-five publishing projects and was a book distributor handling at one point over forty titles. What Does The Book Guru Suggest? If you have never heard of him you are in for a treat. Joel Friedlander of The Book Designer has found some sites that are offering us some great information for writers. I love stumbling across these sites that share there tips on becoming better at what we do and that is writing. Happy Reading! Wow, is November really over? It seems like a whirlwind of activity since the excitement over National Novel Writing Month began, and now it’s over. I hope there are lots of juicy first drafts out there, and that these books—or many of them—will reach publication. In the meantime, there’s lots of great reading here, and at the bottom a wrap up on our Nano Promotion. Cheers! That might mean something different for you (I’m sure it does), but for me, this list is made up of the sites that I visit on a daily or weekly basis. These are the sites that have helped me get to where I’m at. And, should I find a higher success in this industry, it will more than likely be due to something I picked up from one of these sites. I’ve learned so much in such a short amount of time and I owe most, if not all, of that to the sites on this list. Read more here. It’s difficult to overestimate the importance of a great cover. Striking professional looking covers help sell books. The cover is the first impression a reader will have of your work, and humans place a lot of importance on first impressions. We want readers to fall in love with our book on first sight. Think of it this way, you dress up to go about your day-to-day activities. You put on nicer clothes, you fix your hair, and so on. Why? Because we know that how we look matters to other people. Even if you couldn’t care less how others look you know that folks treat you differently depending on the clothes you wear, the way you arrange your hair, the perfume/cologne you choose. Now think: What if you weren’t just going to a business meeting, or a PTA get-together, or a baseball mixer. What if you were going to the Academy Awards or some other gala affair? My female friends would spend most of the morning and all of the afternoon getting their hair, nails and face done. And I cringe to think how much they’d spend on clothes. Read more here. Do You Know How To Publish Your eBook? Kindle, Kobo, iBooks, Nook, Sony, Blio…. 1. What is the best way to get my ebook up on all the major platforms? 2. How do I get set up? 3. What files do I use? 4. Do I use Smashwords? BookBaby? 5. Do I need to pay someone a cut or a fee to do my ebook distribution? 1. The best way to get your ebook out up on all major platforms is to spend an hour setting up accounts with Kindle, Nook, Kobo, Googlebooks and iTunes. The rest can wait. Seriously. Kindle alone is over 90% of ebook sales; so with Nook, Kobo, Googlebooks and iTunes included? You are ALL SET. Read more here.